Music PR campaigns designed specifically for artists and bands building their brand, releasing new music, creating momentum for an event or just want to spark the interest of the media. 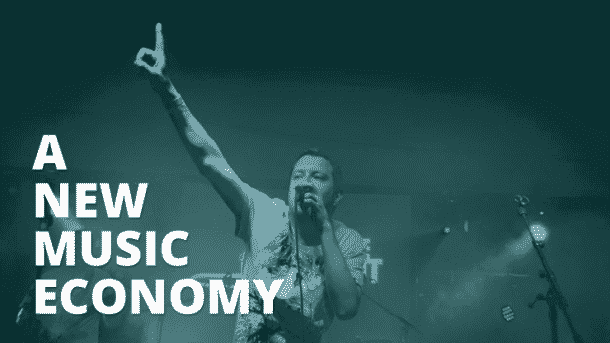 The structure of this campaign is aimed specifically at artists and bands that are building their brand, releasing new music and want to maximise their exposure, have an upcoming event or just want to spark the interest of the media. We work with all kinds of artists and brands with a range of different budgets and can design a dedicated campaign to a budget that works for you. We provide weekly update reports so you can follow and discuss the outcome of each week and adjust plans accordingly. We offer two options for our Dedicated Campaign for Developing Artists & Brands, a full 10-week campaign, and a 5-week campaign. Both campaigns are perfect for developing artists with an estimated budget of 1000-2000+. Learn more about these below! There is no equity involvement and we don’t take a share of your product or profit. With this campaign you are the boss, you are involved in the decision-making process throughout the campaign and you’ll work closely with our team of passionate music professionals to get the best outcome for your project. Before the campaign is started, we’ll discuss any areas you feel are of particular importance to you so we can integrate these into the campaign structure. If you wish for a focused social networking campaign please let us know and our Digital Team can work with you prior to, or alongside, a dedicated PR campaign for your music. | Which campaign should I choose, 5 or 10 week? A typical PR campaign for developing artists is 10 weeks, this allows us to do all the things outlined in the 10 Week Campaign breakdown below. However, which is better for you really depends on your budget. PR campaigns aren’t something you do too often, they are carefully planned campaigns to help expose your music, gain momentum and exposure before or after a release or event. We’re here to help guide you with everything you need, including a checklist to ensure you get the biggest impact possible. If your releasing new music, have an up-coming event or want to push a previous release, a professional PR campaign is something every serious artist should do. | How much does a typical campaign cost? A sensible budget for an artist/brand serious about their career is anything from £/€/$1000 upwards. A typical 10 Week Campaign is around £/€/$2000 which can be easily shortened to 5 weeks for those with a lower budget. A ‘higher-end’ campaign is around £/€/$4000-5000. All campaigns are fantastic exposure, of course the 10 week campaign will have a bigger impact that 5 week campaign, and is something you should consider if you can afford to (more exposure, bigger momentum). However, all campaigns will give you positive results and get you in front of an audience you wouldn’t be able to reach otherwise. The budget should be based on what you want to spend on promoting your music. If you really want the best for your music you will set a sensible budget that we will use to structure a bespoke campaign to fit your individual needs. After-all, every artist is different, has different needs or is at a different time in their career! NOTE: A full PR campaign requires weeks of work and planning so we do require a minumum budget of £/€/$1000. Our campaigns are personal and you are very much involved in the decision making at the beginning and throughout, week-by-week, and play an important part of the team. Below you can see a breakdown of the 10-week campaign, the 5 week campaign is very similar just half the time. We can discuss this in detail if you choose to work with us! We’ve outlined a breakdown of our 10 week campaign below to give you an example of what a typical 10 week campaign invloves. Most campaigns consist of 6 month periods – by this we mean you structure a series of releases to fit your needs over a period, just as a label would do for you. You decide the dates that fit your budgetary needs, decide two or three release periods that reflect times in the calendar when you will have the budget to accommodate releases, assuming you are a band or an act are self-funding the release patterns, then we will do the rest. Generally, the release pattern allows for a single and an EP or album, the same is true for each release stage. Hence re-promoting your music just like a label would do, but at all times it is up to you how you wish to approach your releases. We divide release stages into 10 week periods, depending on budgets, and focus in the 1st stage on building the correct roots for the campaign by making sure the media develop an awareness of you very quickly and in line with your image, musical style and artistic personality. The final approved hit list would consist of an agreed number of targets and we would aim to combine the more automated PR development with flare and energy to generate results. The more you work with us the greater the results will inevitably be as we develop our relationship with you and with the related media outlets. Please remember that our carefully designed DIY campaign structure is there to help you develop at a price that fits your budget. It is not a campaign where all team members work at once, this would involve each of those services being paid for individually – which would be the case if you went to a number of different companies offering these services. We will aim to get key music areas interested as early as possible but this must be seen as a first stage build. To have even more substantial success you need to look long term. With regular updates, we make sure you get feedback and remain informed about the interest developing with the media, but the first stage consists primarily of online and forum and underground fanzine areas, localised radio, community, local TV etc. building chat and developing PR to hopefully increase links directly with fans, and music industry in general to help develop gigs, label and management opportunities. In terms of the budget for the services, remember…you outline the budget you are trying to work within and we will do all we can to fit a campaign and timeline that works for you. Interested in a PR Campaign?